Vogue has recently re-introduced its 'More dash than cash' feature, which used to appear years ago and is revisited again this season. 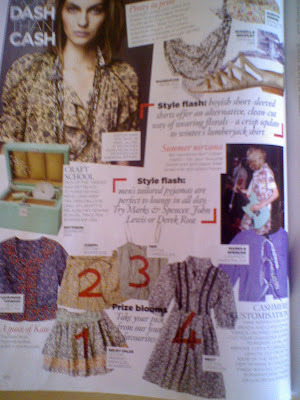 This month's feature is on 'Micro Florals' which is going to be a big trend for this summer. It's a great stylish classic, which can be worn on skirts, shirts, dresses and tops and is great if you can find a vintage piece, especially if its a Liberty or Laura Ashley piece. Inspired by this and going through my wardrobe, I only had 'big florals' and fancied tapping into the trend, through thrifting of course!! So I was pleased to pick up this camisole top by Target for only £1 at the PDSA charity shop and also this gorgeous Ralph Lauren tiered cotton skirt for only £3!! The ideal way to wear micro florals is with an oversized boyfriend style blazer, a biker jacket or denim. Will you tap into this trend for summer? Ooh, I really like the skirt. Oh, yes I absolutely love the floral style. I adore Ur skirt from Ralph Lauren. Great find! I love these wee flower prints - so summery :-) There's an award waiting for you on my blog! I love floral &denim. They just go so well together! Ooooooh I love your microflorals and styling tips! Love the tough/sweet combo! hey sweetie. Hope your having a good Easter weekend dear, I love ditzy micro florals, particularly liberty prints and so love the pieces you thrifted dear! They are both classics dear. i adore floral but can't do micro floral for some reason. I can't wait to see what you do with these micro-floral pieces! I bet they look great on you! 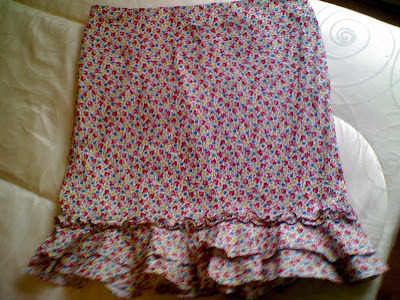 I love microflorals the skirt you picked up is awesome. I absolutely love wearing florals with my leather jacket! 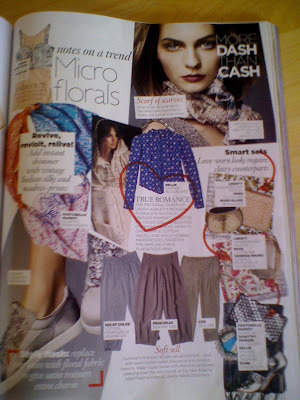 Ooh yes, definitely, I love the idea of micro florals...not such a big fan of large floral print. 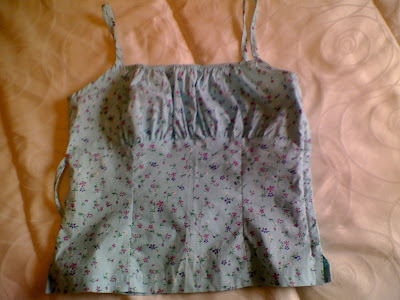 Love the camisole you thrifted. It would be perfect with a leather jacket. You've inspired me to thrift for some micro florals, thanks! Gorge buys though Sharon, especially the skirt! Hi there-such lovely comments from you all, thanks so much!! WOW! What fabulous finds! The charity shops where I live are of very poor quality, perhaps I need to go on a charity shop hols? Sounds like a lovely trend. Hope you had a good weekend. I absolutely adore the skirt!!!! i'm all about mini flowers on my clothes, it adds such a sweet touch! I love the skirt and camisole! Tres chic! The top is so adorable, I shall look for small florals, I am sure to find somethin! Hi everyone-such lovely comments, all much appreciated, thanks! I love this look! Hey, remember when it was a biiig thing back in the '80s and also through the '90s for a while? Though in the '90s I think the trend was for black & white (or black & beige, black & cream, etc.) mini florals. Some of my favorite clothes from those eras were in this pattern. When I met my husband a couple of years ago, I remember wearing a micro floral Ralph Laurent blouse right after we got engaged. This print brings back some happy memories for me! Hi Anchibride-yes, I remember the trend back then too! Mind you, I like the modern styles of now though!